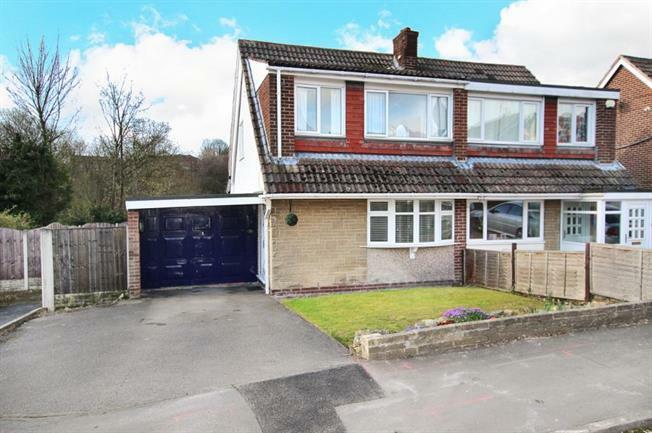 Located within this popular area, occupying a corner position with larger than average south facing gardens that overlook woodland, is this three bedroom extended semi-detached house with garage. Offering ideal space for a growing family with the potential to extend further with the necessary alterations and permission. The property has been maintained by the present owners and an early inspection is recommended. Accommodation comprises, entrance lobby, lounge, extended family dinning kitchen with sitting area, conservatory, three bedrooms to the first floor with shower room. Situated to take advantage of walks through woodland and near to the local fishing lake, close to local bus services and schools and shops. All viewings strictly via the selling agent.